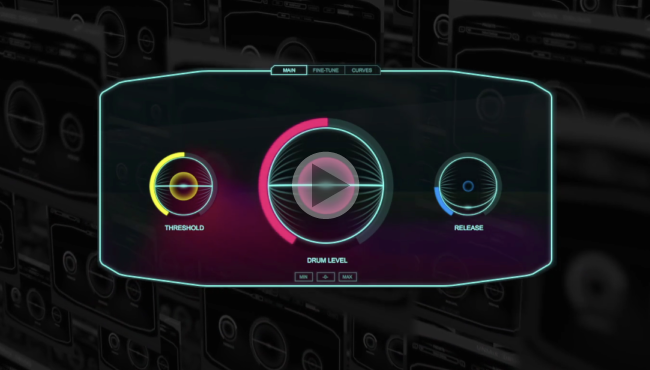 UNMIX::DRUMS is your after-the-fact fader for the drums. It takes a mixed music input and allows you to change the level of the drums relative to everything else, in real-time. Attenuate the drums to "headphone bleed" levels, or make them sit squarely in your face – the choice is yours. Adjust DRUM LEVEL and THRESHOLD, done.